Pre-Sale: Private and only for accredited investors. How Many DFINITY Tokens will be Airdropped? 1.25% of total supply worth 35 million CHF, or roughly $35.3 million! 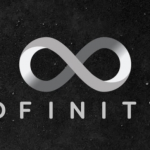 How Do I Take Part in the DFINITY Airdrop? Those who have been active in the community for the longest will receive tokens first e.g. through participating in Slack, Rocket Chat, joining the mailing list, Telegram etc. The whitelist will be automatically generated. Individuals from the USA cannot take part for regulatory reasons. KYC emails will begin being sent out on 30th May and end on June 2nd. The deadline to complete KYC is 8th June. How Many DNF Tokens Will I Receive? The drop will be split in two. The larger 25 million CHF drop will be divided between people who joined the mailing list before April 4th 2018. These members will receive between 500 & 2500 CHF worth of tokens. This will depend on the individuals ‘airdrop cap’, which will be determined by how long and active they have been in the community. An additional 10 million CHF of DNF tokens will be split between those that joined after April 4th, which the team hope will result in around 100 CHF per person!